On March 9, 2018, South Korean actor Jo Min-ki was found dead by his wife in a storage room near the parking basement building where he lives. He was announced dead after being rushed to the emergency room. Since there’s no evidence of murder, the police who investigated the scene suspected the death to be a suicide. On February 20, a sexual harassment allegation against Jo Min-ki came to light when a woman informed an online community about his sexual harassment of eight students at Cheogju University where he taught. A week later, his agency launched an apology statement and terminated his contract. And, even though Min-ki denied the allegation and announced an apology, he was fired by the university. He was scheduled for investigation on March 12 at the Chungbuk Police Station. But, as he died three days before, the police stated the case will close with no indictment by the prosecutor. 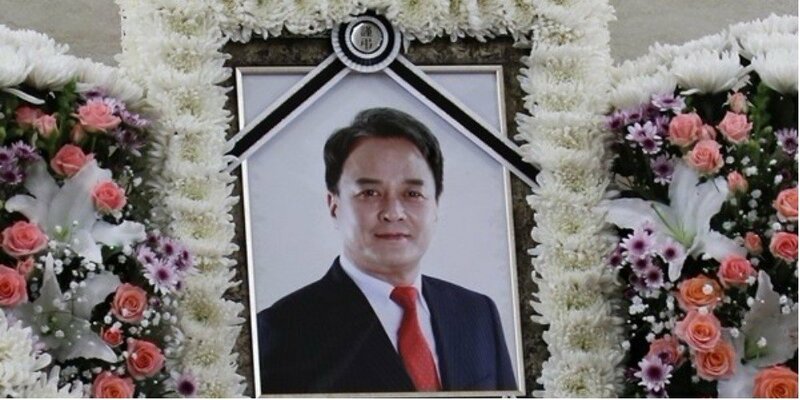 A family representative explained that the funeral held in private at Konkuk University Hospital Funeral home. They asked for privacy and understanding from the media and entertainment industry. His wife was unable to make a statement and asked to not be questioned.